Main Point: I am called. All of us have things about ourselves that we don’t like. Moses was no exception – he had a speech problem and it significantly affected his confidence. When God called him to lead the Israelites out of slavery, he all but refused. God knew all of Moses’ shortcomings but called him anyway. God had a plan for how to overcome Moses’ weaknesses and had more than enough power to do so, He just needed Moses’ faith and obedience. Talk with your family about insecurities you each have. Commit them to God and ask Him to grant you the ability to trust Him, obey Him, and to step into your calling each and every day. 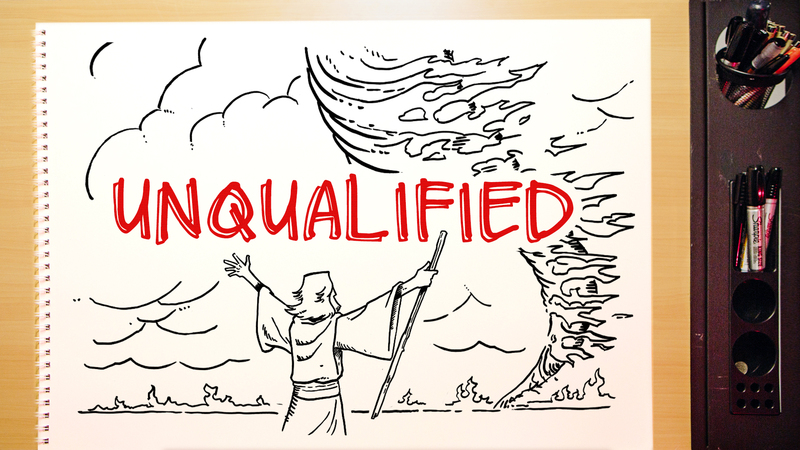 Come back next week as we wrap up Unqualified!